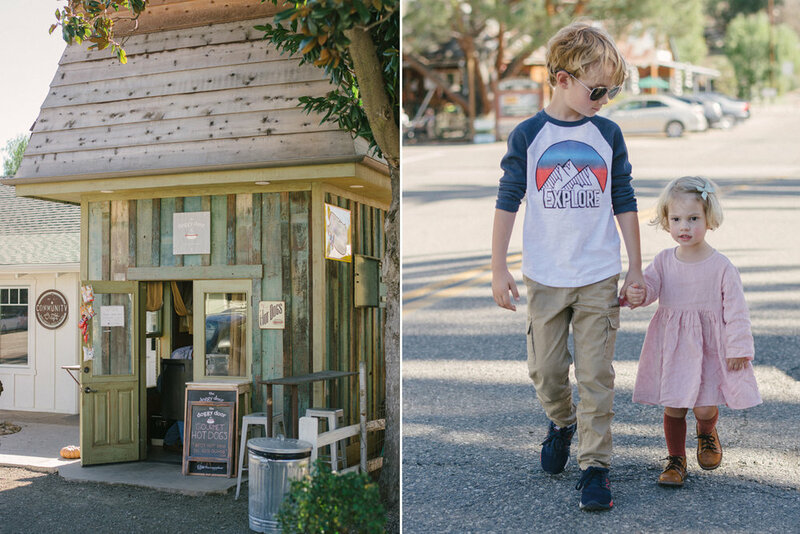 A Day Trip to Santa Ynez Wine Country...With Kids! 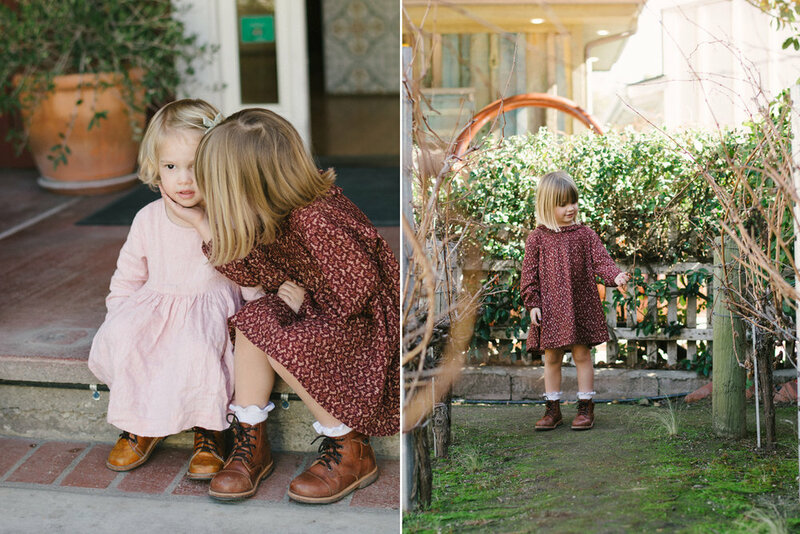 Alex and I have always loved spending time in the Santa Ynez, Solvang, Los Olivos area. Just north of Santa Barbara, it's close enough to LA to make it up and back in one day, and also has a handful of adorable places to stay if we decide to turn it into a weekend away. When Adam was born, it was our first overnight adventure as a new little family. As babies our kids were totally happy to snooze in a carrier all day, while we would wander around the cute little towns, visit wineries, and eat yummy food. Now that our kids are older, we've gravitated towards the charming parks, wide open fields, and wineries with fun outdoor activities that we can all play together. There's even an ostrich and emu farm that the kids always want to visit. As soon as you arrive in wine country time instantly slows down. No one has anywhere to be and you feel relaxed immediately...and a little sip of wine doesn't hurt either. We started our day early, with a quick stop for bagels and coffee before we hit the road. After an easy two hour drive, with some very pretty scenery on the 101 along the ocean, we arrived in the quaint little town of Los Olivos. We parked and walked around main street to find lunch. On the weekends the local market, R-Country Market, makes the most delicious tri-tip sandwiches out front on the BBQ. Make sure to get there early, because once they're gone for the day they don't make more! We took our sandwiches to go and walked down the street to Stolpman Vineyards, one of our favorite wine tasting rooms. The kids ordered hotdogs from the stand next door and we all ate lunch on the patio. While Alex and I tried a few wines the kids played hide and seek around the garden. Then we hopped in the car to drive to our favorite park, Sunny Fields. The style of the park is inspired by Solvang's Dutch heritage. And it's so dang cute. After the park we drove into the hills to Andrew Murray Winery. Andrew Murray makes delicious wines and the property is so beautiful. There's a yard full of picnic tables, chairs, and outdoor games. The highlight of wine country for the kids is always the Ostrich and Emu Farm. Last weekend Lake was being so brave and wanted to feed them by herself, but the birds were so strong they knocked the bowl right out of her hands! Needless to say she. was. terrified. Still, it's always worth a stop. 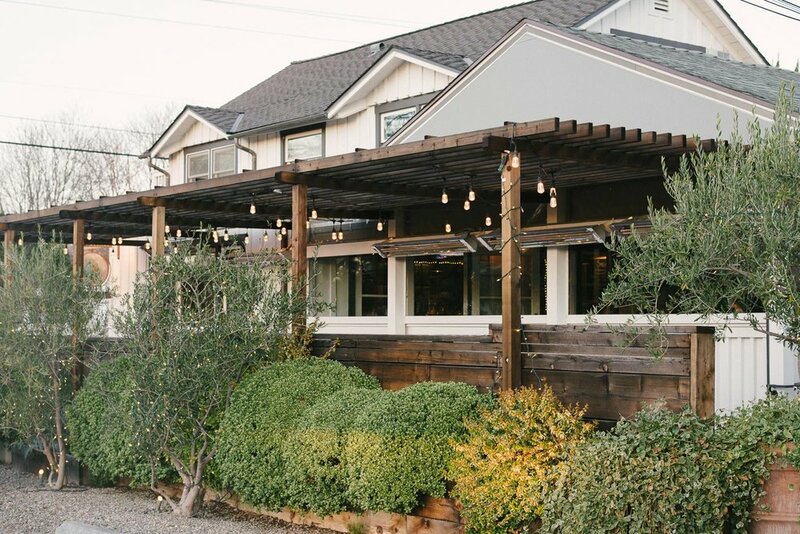 We have quite a few restaurants in the area that we love, but lately our favorite has been SY Kitchen in Santa Ynez. The space is gorgeous and the food is fresh farm to table, changing with the seasons, and always delicious. We also stopped on the way for a quick tasting at a local organic olive oil farm. We toured the grove of olive trees and tried 10 olive oils while learning about the trees, soils, and why each one tastes so different. Not the average daily lesson for our city kids! After our very early dinner (5pm) the kids changed into pajamas and we were home in bed a couple hours later, exhausted from a day of adventuring in the fresh mountain air. Below is a list of our favorite spots in the area. And it's also worth noting that when we are with the kids and driving, we only do one or two small tastings in a day, and often share them. There are great drivers in the area as well as Uber if you are looking to make it a more wine centric trip! Paula's Pancake House, Solvang - a MUST for breakfast, but go early before the crowd. Industrial Eats, Buellton - just go there. for everything. Pea Soup Andersen's, Buellton - this diner is legendary, and the Pea soup is really good! R Country Market, Los Olivos - a small market with a sandwich counter, go for the tri-tip sandwiches on the weekend. SY Kitchen, Santa Ynez - delicious farm fresh food in a gorgeous space. lovely outdoor patio for lounging with an appetizer and a glass of wine. Los Olivos Grocery, Los Olivos - a great stop for sandwiches or just a fresh loaf of bread and some yummy cheese. Full of Life Flatbread, Los Alamos - a bit of a drive but worth it for flatbread with such fresh ingredients, like literally from their front yard. Hitching Post, Solvang - made famous by the movie Sideways. Delicious meat and potato kind of place. In the best way. Los Olivos Cafe, Los Olivos - a bit more formal but I've always had a great meal here. Sides Hardware and Shoes, Los Olivos - really good food, right in town. great, casual vibe. Alma Rosa - this winery is single handedly the reason we fell in love with the area. Although it's now been transformed into a more modern space in town, the wine is still excellent. Demetria - owned and run by a lovely Greek family. They serve a different style of wine here and we are always fans. Gorgeous property up on the hill with a huge yard to run around, a great place to bring a picnic. Just make sure to make an appointment, they only allow a certain number of people at a time. Andrew Murray - super fun place to hang out with a glass of wine and play some yard games. Andrew is very well known in the area as a young wine superstar of sorts. They definitely know how to make wine here! Brander - beautiful outdoor space, lovely wines. Dragonette - they have a tasting room in Los Olivos and the wines are always delicious. Sunstone - the wines are not always for me, but the grounds are some of the most beautiful in the valley. Taste of Santa Rita Hills - down the freeway in the "wine ghetto" where smaller wine makers have tasting rooms in old warehouses. They have some of the best wine we've ever had. And a lovely Italian man named Antonio will make sure you find something you like. Definitely worth the drive!